as he takes on his weekly therapies and treatments. We are facing his challenges head on – curvature and rotation of the spine, difficulty in achieving continuous sleep, and muscular tone restricting the movement of his arms, legs, wrists and fingers, to name a few. We have days where we feel like we are taking two steps forward and one step backward, while other days feel like we are taking two steps backward and one step forward. What we do know is that Ethan is doing the heavy lifting day in, and day out. Last month he completed a three-week intensive regimen, receiving myofascial release treatments 3-4 hours per day. Currently, Ethan goes to 6-8 hours of different therapies per week, plus many doctor appointments and therapies at our home. 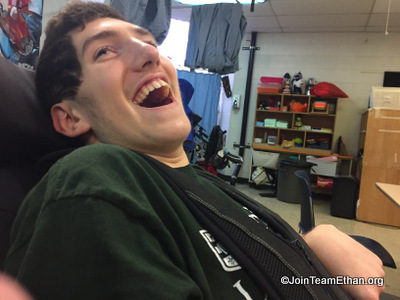 Ethan smiles, laughs and shows enjoyment. He also cries and experiences pain and discomfort from his injuries. 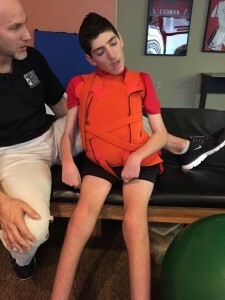 A new outcome from Ethan’s time in Philadelphia is using his bed as a Stander, which provides important weight bearing stimulation for 15 minutes per session, 3-4 times per day. We work to give Ethan every chance to further his recovery, and your support provides him, and us, with all of these opportunities. One year ago we were sitting bedside with Ethan in the PICU following his emergency surgery to repair his bowel perforation. 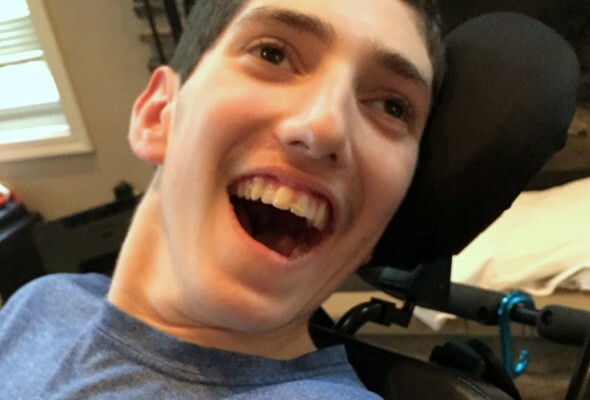 We watched with amazement as friends—and friends we didn’t know were friends—supported us through their generous donations in honor of Ethan on the eighth night of Chanukah. We have just launched the 2nd Annual Eighth Night for Ethan campaign. We hope you will participate. All contributions are tax-deductible and are used directly for Ethan’s uninsured care needs. Become a Team Ethan All-Star and sign up for a monthly contribution. Your support is appreciated beyond words. There are a few weeks left before we say goodbye to 2014. It is our hope that we continue to see Ethan make several steps forward before the end of 2014.